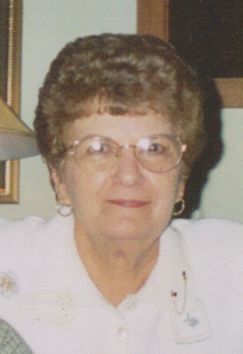 Alyce Marie Grady, 79, of 70 Burnside Ave., Bradford, passed away Monday, October 22, 2018, at The Pavilion at BRMC. Born December 20, 1938 in Bradford, she was a daughter of the late John J. and Josephine (George) Pantuso. Alyce was a 1956 graduate of St. Bernard High School. She had been employed at Bell Telephone for 25 years, Catarina Reality and McGuire Trucking. She was a member of the Fraternal order of the Eagles Aux. and a former member of Woman of the Moose. Surviving is her companion of 27 years Ken Johnson, two sons, David (Holly) Grady, of Rew, and Kevin (Lauri) Grady of Olivet, MI, one sister, Nancy P. Roberts, of Connersville, IN, one sister in law, Barb Pantuso, of Bradford, one brother, Joseph Pantuso, of Sarasota, FL, and one brother in law Jon Howard, of Buffalo, two grandchildren, Aleena Grady and Colin Grady, and her former husband, John Grady, of FL, and several nieces and nephews. She was preceded in death by her parents, one brother Alex Pantuso and one sister Betty Howard. Family will be receiving friends on Saturday, October 27, 2018, from 3:00pm to 5:00pm in the Hollenbeck-Cahill Funeral Homes, Inc. 372 East Main St., funeral services will be held at 5:00pm with Rev. Max Simms, pastor of the Hilltop Baptist Church, officiating. Burial will be in St. Bernard Cemetery. Deepest Condolences to the family and friends. I have been knocked out of this site twice to much time spent writing special beautiful memories. RIP Alyce. Great memories of working together. Alyce was a classmate of mine and a dear friend. May she rest in Peace with our Lord and Savior. Condolences to all her Families, thoughts and prayers. So sorry for the loss of your mom. She was a very nice lady and will be missed. Will be praying for all of you in the days and weeks to come.